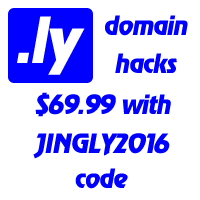 .LY jingles are indeed very popular with "yours" buzz-word. We have already covered "Globally yours", "Sincerely yours", "Instantly yours", and "Beautifully yours". A groupon-like service Rent the Runway decided to under "Fashionably yours".